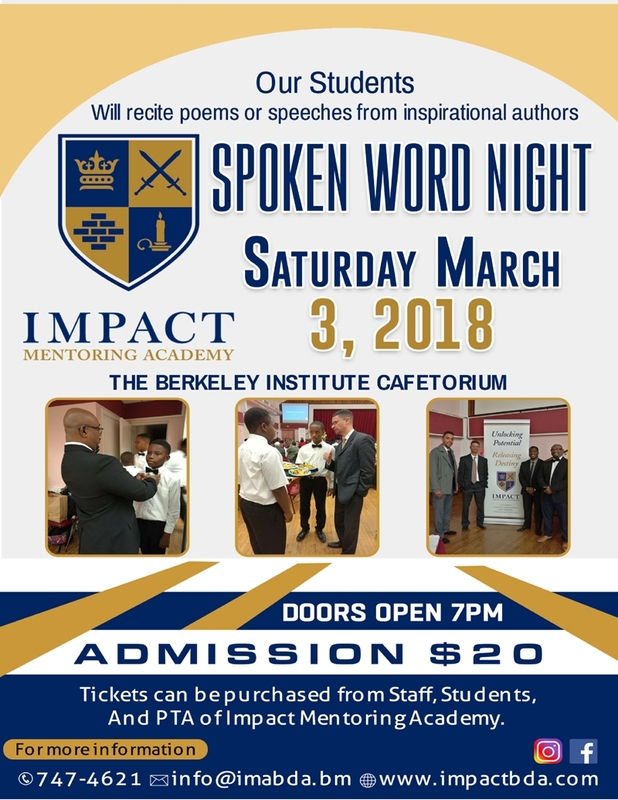 On Saturday, March 3, the young men of Impact Mentoring Academy are discovering the power of words, as the students at the all-boys school will be sharing motivational poems and speeches to an audience of family, friends and community supporters. Funds raised through this initiative will help to send a group of IMA students to volunteer with Praying Pelican in the Dominican Republic, then concluding with a tour in Washington DC, April 3 until April 18, 2018. “Part of the purpose of this event is to give the young men a platform to practice their public speaking. Regardless of their career direction, it will be imperative for them to be comfortable speaking succinctly, and with purpose to an audience. Whether that is an audience of 1, or 1000,” said Chris Crumpler, the school’s executive director. “Doubling as a fundraiser for our upcoming humanitarian trip to the Dominican Republic, this special event is designed to showcase the positive work of our young men. The spoken word concert will be held on Saturday March 3, 2018, at The Berkeley Institute Cafetorium, doors opening at 7pm. Refreshments will be available. For more information about this event, call 747-4621 or email info@imabda.bm. For more information about the school, visit their website or their Facebook and Instagram page @impactacademybda.